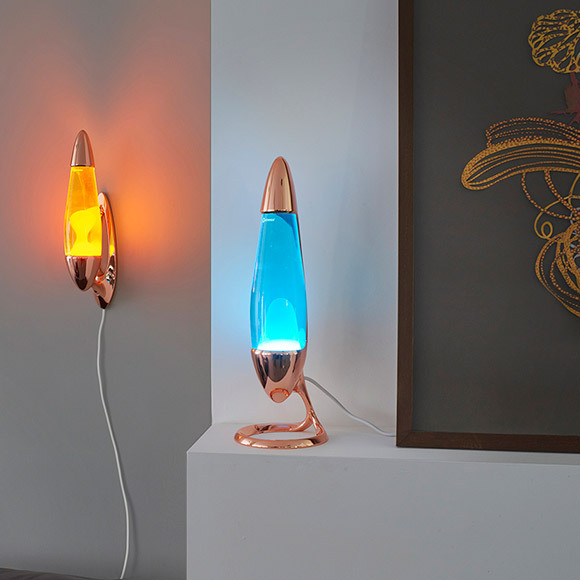 Neo is an innovative new design of lava lamp for children and adults. 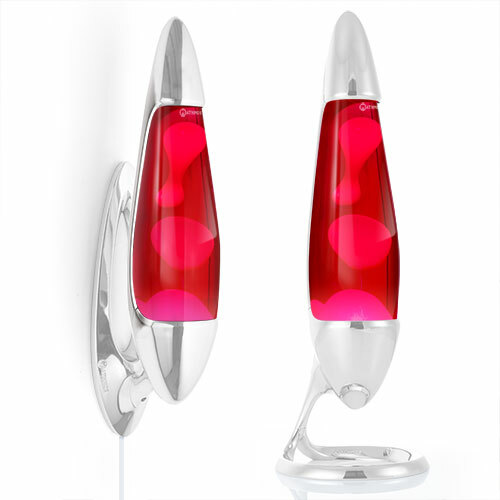 Mathmos' many years of lava lamp knowledge went into developing the only lava lamp that is both stylish and safe for everyone. 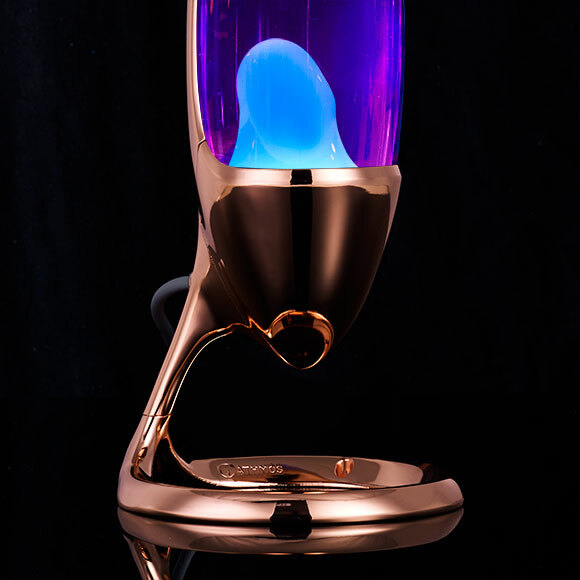 Neo is made of cast metal in copper, part white or silver, it is low voltage, runs cooler than other lava lamps and has a shatter proof bottle. 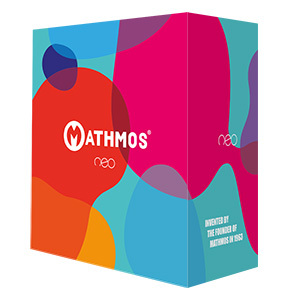 Neo is available in 6 lava colour combinations all with Mathmos' unique long lasting formulation. 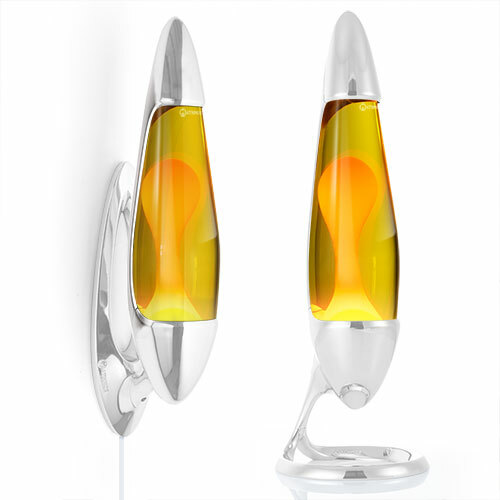 Lighting designer Jonathan Coles and his team spent two years ensuring that Neo looks fabulous and works brilliantly. 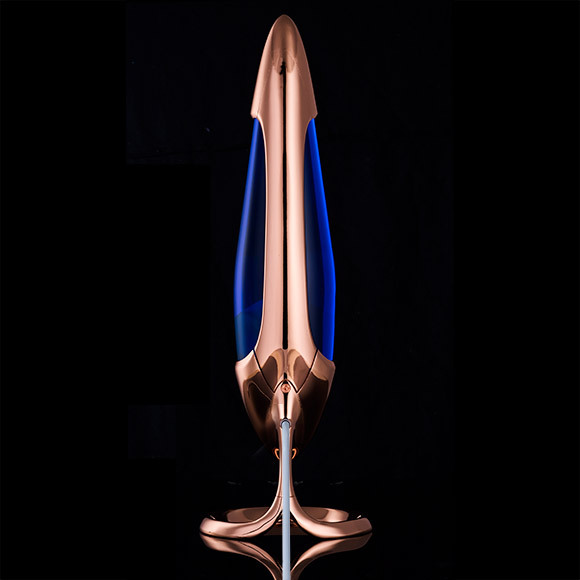 Neo is made of solid precision cast metal. Whilst they are complex moulding designs it could not be simpler to assemble with just two pieces to put together and one screw, Allen key provided. 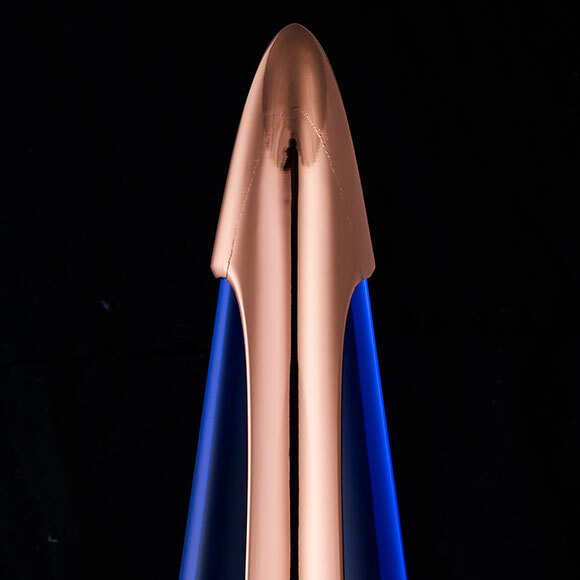 As with all Mathmos’ lava lamps the bottle is made in Britain and filled by hand in our factory in Dorset with Mathmos’ unique lava lamp formula. Over 50 years of experience and expertise ensures that Mathmos lava flows better, is clearer and lasts longer. Neo’s unique sweeping back plate has been optically designed ensuring that it both frames and reflects the lava and looks good from any angle. Neo is the first Mathmos lava lamp for kids and adults and has passed the stringent safety tests that this involves. Unlike other lava lamps the bottle is attached to the base, the bulb is not accessible without a tool, it is very stable and not too hot. Neo lava lamp is low voltage and powered by a 20w long lasting halogen capsule bulb, included. 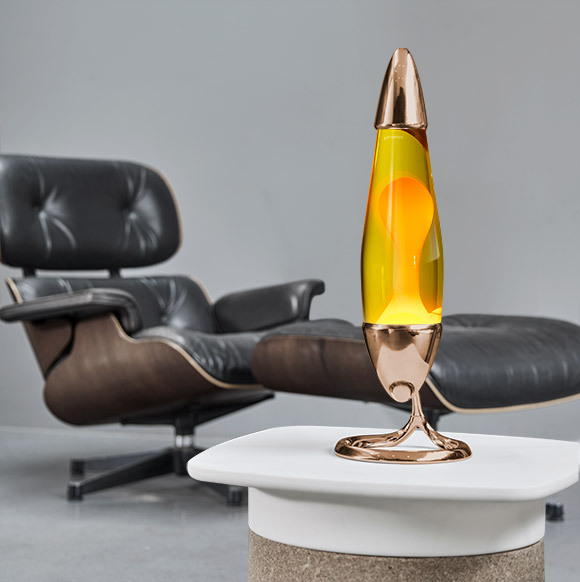 The built in reflector ensures that heat and light are directed towards the lava and away from the metal. Neo’s Mathmos branded bottle has a coating of shatter proof glass ensuring that should the worst happen and the bottle falls and breaks the glass will be held together. Neo’s base has two fixing points allowing you to affix it to a surface for extra safety, if for example used in a busy children’s bedroom. Mathmos is again a Gold Star Trusted Merchant on review site Feefo; both our products and service are of exceptional quality. If for any reason you are not happy with your purchase we have a simple returns procedure. 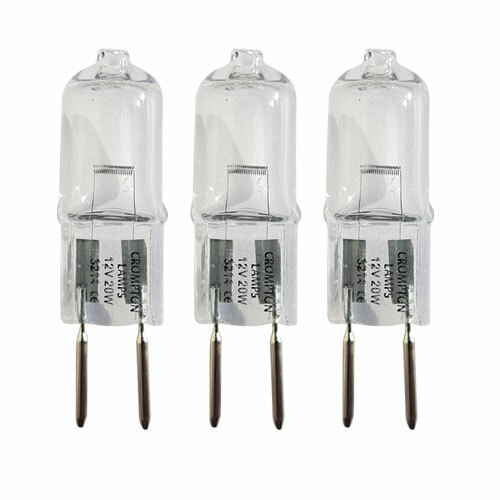 Spare parts for Neo are available and Neo capsule bulbs (20w) are easy to find. Changing the bottle and bulb when they end their lives is very simple. When you buy from Mathmos websites you are buying product sent directly from our Dorset factory. 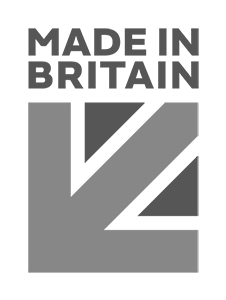 Direct contact with the people who made the product and can best support you. All orders from Mathmos websites are delivered swiftly and free, see here for delivery information. We offer many ways to pay for your Mathmos products, see here. This bulb is primarily used as a heat source. 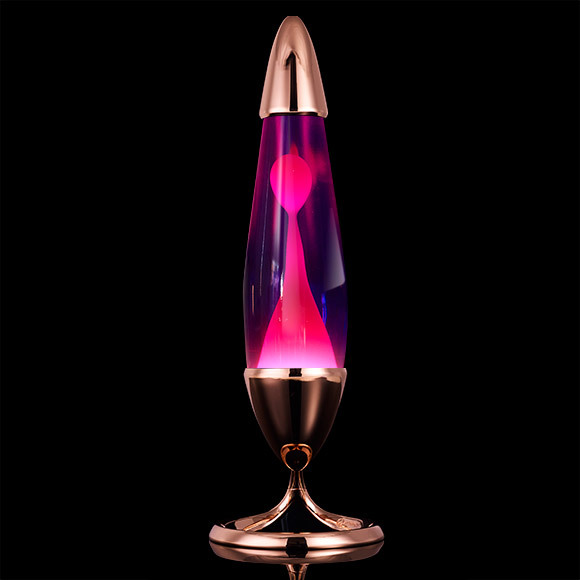 For Mathmos lava lamps only. Not for household room illumination. Choose a position inside on a clean and horizontal surface. Do not place near sources of heat or cold, such as a heater or air conditioner. The product operates at its best in a room between 68º F/20º C and 75º F/24ºC. Keep the cable away from heated surfaces. This product is not suitable to be set up on glass surfaces. For best performance we recommend you keep the product away from: sunlight to prevent fading drafts and cold places to prevent slow operation and freezing, hot places to prevent overheating. This product has been manufactured to relevant safety standards. However, for use with children we suggest to ensure that the product is not knocked to the floor and that you fix the product to a surface, see below. When Neo is not fully assembled do not leave it in reach of children as it contains small parts. Warm up takes between 1-3 hours depending on the surrounding temperature. Stalagmite shapes may form during the warm up process, these will then melt and the lava will begin to flow. It is normal for the glass to have small air bubbles and moulding scars. Your Mathmos product will operate best after it has been used four or five times. For the first few times you may see small air bubbles in the lava. Please note the heating time will decrease after several uses. Please do not leave the product on for more than six hours a day or allow it to overheat; this will prolong the life of your product. Overheating will shorten the life of the product; if it is overheating there will be either only one large bubble at the top of the bottle or a lot of very small bubbles. Never move or shake the product when it is in use or still warm, as this causes irreparable clouding. When your product has ended its life it will begin to go cloudy, the colours may fade and it will not move as well as it once did. This will happen after approximately 2000 hours in operation. Whether your product has ended its life or when you wish to have an alternative colour combination, visit our website at www.mathmos.com for more information on a replacement bottle or full product. Please note we do not refill bottles. Please on no account open the secure cap and add liquids. If the bulb blows, please replace it with one of the same type and wattage. 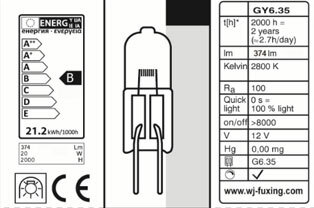 Only fit the correct bulb, as stated in the label in the base. 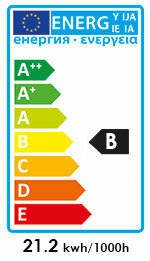 Visit our website at www.mathmos.com for more information on replacement bulbs. IMPORTANT! Always allow your product to cool down completely prior to handling or moving the product. Once your product has completely cooled, using the allen key provided to unscrew and remove the back screw out (keep these components safe). Carefully, holding both the bottle and arm piece, lift and remove the bottle and arm piece from the base. Carefully take the arm piece off the bottle and place it onto the bottle you would like to use. Now refer to ‘set up’ for instructions on how to assemble. This product carries the statutory guarantee of the country of purchase and meets all the applicable standards requirements.Use this product only for its intended use as described in these instructions. Do not use attachments not recommended by the manufacturer. Do not use any other means to heat up the bottle other than the bulb provided nor attempt to cool it down artificially. Do not operate the product for more than 6 hours a day. The liquids in the product are not dangerous and can be disposed of normally (for details, see our online FAQ’s at www.mathmos.com). If the liquid is swallowed by mistake, drink plenty of water. If any symptoms appear, please visit a doctor. Never use this product if the bottle has been dropped as this will create weakness; obtain a replacement bottle and dispose of the old one. If the contents are spilt, please dispose of as much liquid and lava as you can remove, then use recommended cleaning methods for removing coloured water and wax for whatever floor you have. Unplug from outlet before putting on or taking off parts or before cleaning. Never operate this product if it has a damaged cord or plug, if it is not working properly, if it has been dropped or damaged, or if it has been submerged in water. The external flexible cable of this product cannot be replaced. 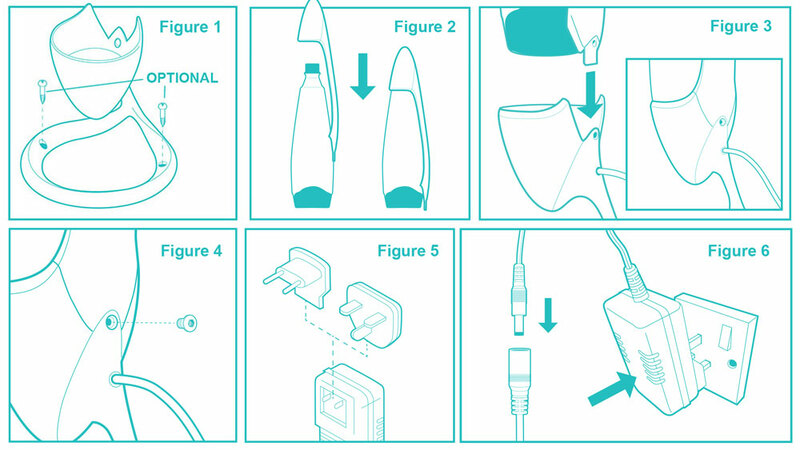 If the cable is damaged, the product shall be discarded. To disconnect, turn the switch to the off position, then remove plug from outlet. Never touch the bulb if the product is switched on or if it has just been switched off in order to avoid burning. To replace a defective bulb, unplug the product and let it cool down sufficiently. The product manufacturer cannot be made liable for damage or injury caused by improper handling, installation or use of its products. A. You may be able to buy bulbs for your jet here. Otherwise I'm afraid we can't help the jet was discontinued many years ago. Q. Can I buy Bayonet fitting bulbs for my 1960s ? A. The Mathmos brand is on the plastic base and either printed on the product itself, on a brand label on the lead or etched on the bottle.